I like the packaging of the palette - it's a sturdy cardboard, yet it's slimline, which makes it perfect for travelling. 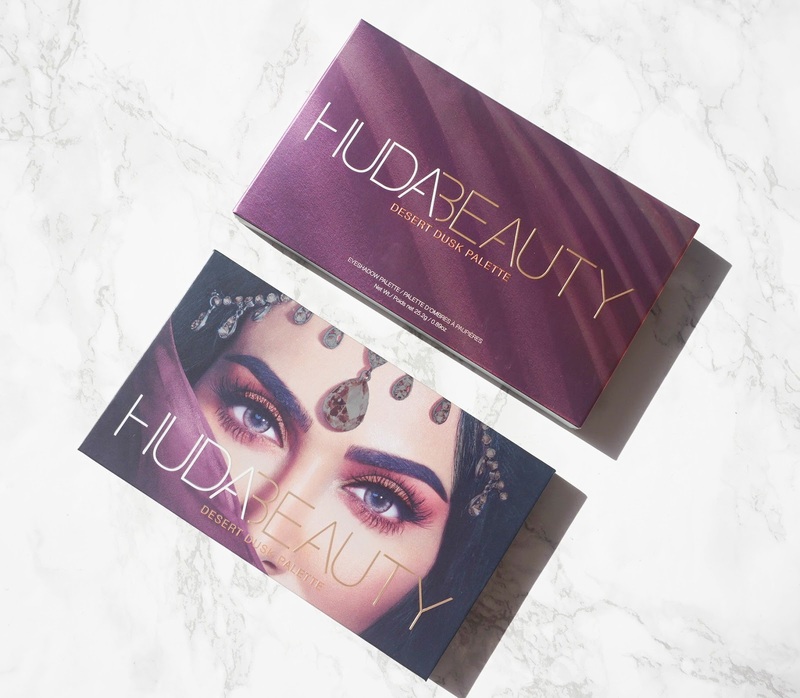 Inside the lid is a mirror and to protect the shadows, there is a plastic sheet with the same Huda photo that is on the lid - not as flimsy as the usual protectors, and of course the eye look serves as inspiration, although I do wish there was a step by step guide included (I love that Too Faced include "how to" guides with their palettes). There are 18 decent sized shadows in this palette, all warm toned in a variety of finishes. The shade selection, although bold, isn't intimidating as they are all very wearable. The glitter (Cosmo), which I know a lot of people were excited about, is a disappointment for me, however I don't own a glitter glue so I will reserve full judgement on that one. It also breaks down in the pan quite easily, which creates a mess in the palette and could transfer into the surrounding shadows if you aren't careful when using it. 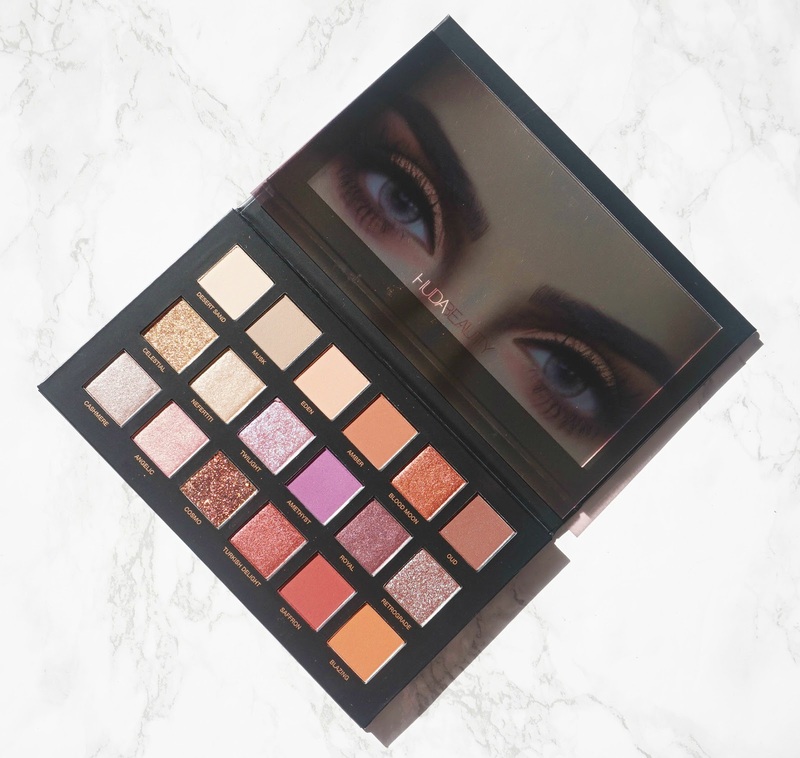 The mattes are not as buttery as Anastasia Beverly Hills mattes, for example, however they are very pigmented, they apply and blend really well and the staying power is every bit as good as you'd expect from a palette at this price. They cause a small amount of kickback in the pan, but nothing excessive. The duo-chromes and shimmer shades remind me a lot of Natasha Denona shadows - pigmented, buttery soft, smooth, easy to blend and a dream to apply - they're pretty much as good as it gets. I've applied the duo-chromes with both a brush and my finger and found that you lose a *little* intensity by using the brush, but nothing too major. I love the variety of shades in the palette - you can easily create a very wearable day time look but also the most dramatic evening look. I am a sucker for warm tones but I particularly love the addition of purple in this palette as I find that it really makes my green eyes pop. It also makes it different from other warm toned palettes. Desert Sand: warm cream matte. Oud: deep chocolate brown matte. Celestial: light rose gold duo-chrome. Amethyst: medium rich purple matte that is less intense on the eyes than in the pan. I haven't experienced any creasing with these shadows. They don't fade or budge at all until I remove them at night. I know that some people will wince at the £56 price tag, but I think that if you are in the market for a new palette, this is quite different in its shade selection to other palettes on the go at the moment and the quality and diversity in shade range and formula makes this palette worth the price tag. Available from Cult Beauty here. 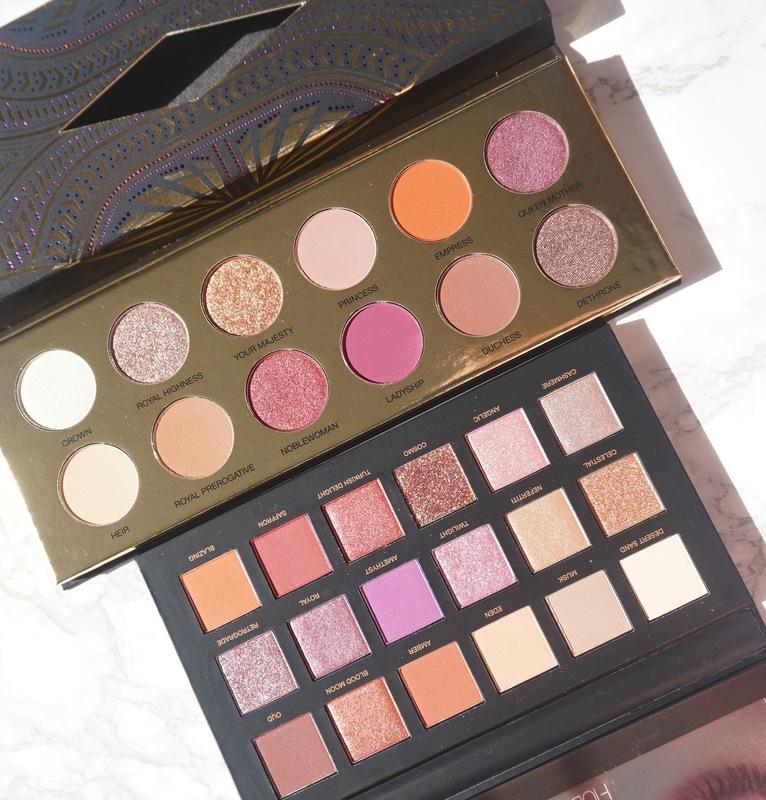 A less expensive alternative (not a dupe) is Coloured Raine Queen of Hearts Eyeshadow Palette, which has similar shades and is priced at £45 - still not cheap but £11 less than the Huda palette. Review coming soon. 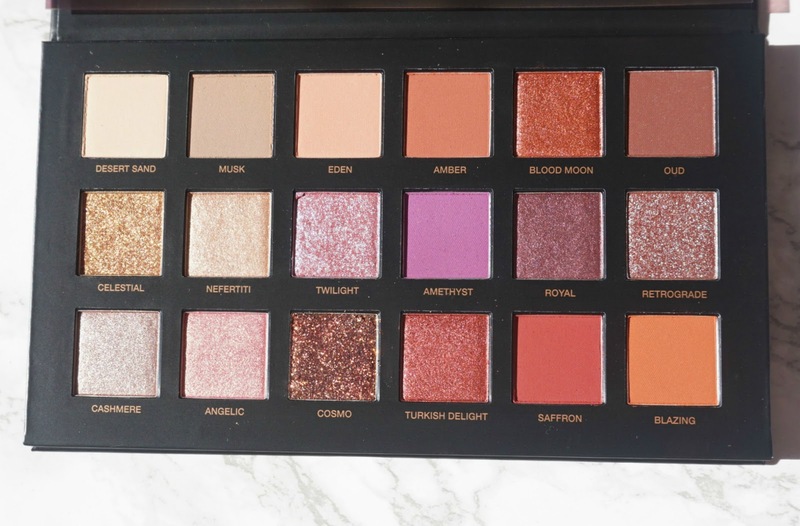 What are your thoughts on the palette? Are you tempted to buy it or are you over warm toned shadows at this stage? I'd love to hear your thoughts!